Earn up to 2,040 reward points. 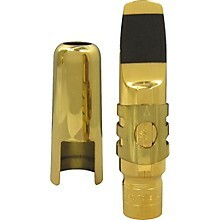 The Otto Link 24k gold-plated metal mouthpieces combine gleaming good looks with the rich sound quality of a larger bore rubber mouthpiece. 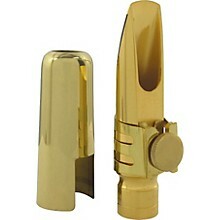 These pieces provide an exceptional sound and style. Includes ligature and cap. 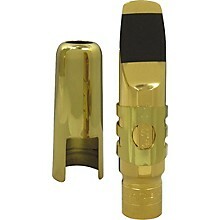 In the world of professional mouthpieces for saxophones, one name stands out among the crowd. It is Otto Link! These bell metal mouthpieces have been the choice of numerous touring professional saxophonists in every genre of music from pop and rock to jazz, classical and R&B. With their superior tone and wide range of facing sizes available, your sound will ascend to unheard of levels. 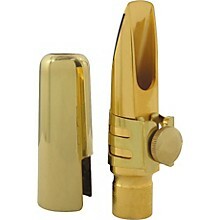 Find out why these mouthpieces are the "choice of the world's greatest artists"!